Due to actual events, today’s newsletter will build on last weeks (clever, I know). Last week I shared with you what I learned in 25 (sigh) years of training and one of the most valuable lessons was that flashy programs, diets or supplements never yield anything. Instead, it’s the tortoise beating the hare. 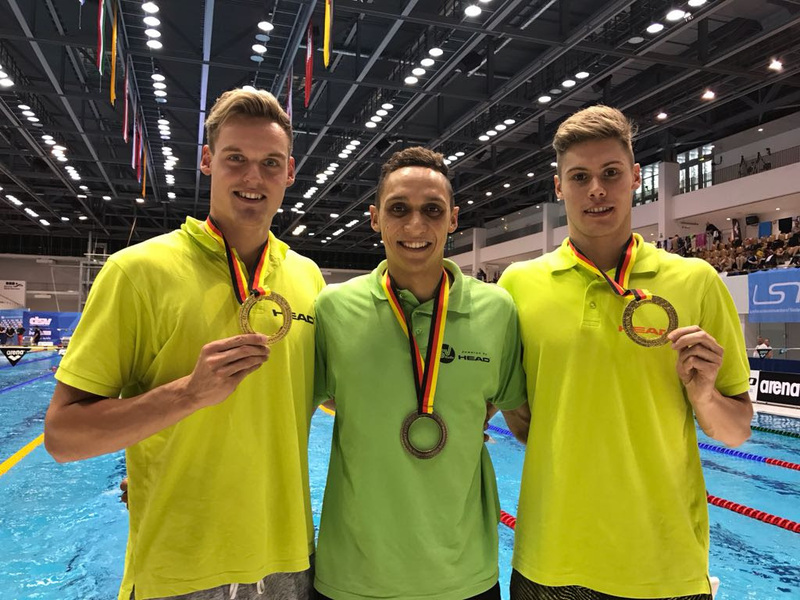 The little guy in the middle, in the picture above, is my godson, Jannik, proudly holding up his medal at German Nationals Swimming. So? I mean, congrats Jannik, but what does that have to do with me? Well, first off it means that beat about 80 million people but. that is neither here nor there. The key point here is that he won this medal after three extremely frustrating years. By frustrating, I mean little improvement despite 20+ hours of training each week, issues with coaches, injuries, sickness… you name it. What did he do? You guessed it. He stuck to boring stuff. Get your miles in, lift your weights, eat your chicken or in his case pasta, and results will come. They won’t come overnight, but I am convinced that hard work, science, and dedication have yet to fail anyone. Thats all on my end, if you think I can help you with your training please drop me a line!